Last year was a great one for me in terms of discovering terrific middle grade books, and it’s one of the reasons I’m doing Middle Grade March this month. Two of the titles I enjoyed in 2012 were the first books in series, though I didn’t realize that at the time. I’m excited to read more silly-funny fairy tale adventure from Christopher Healy, and traditional portal fantasy (with a pooka!) from Sarah Prineas, author of Winterling. 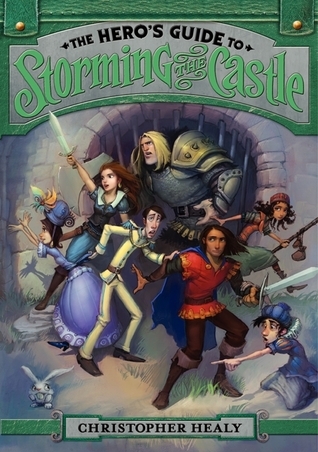 The Hero’s Guide to Storming the Castle will be released by Walden Pond Press (HarperCollins) on April 30th, and Summerkin will be released by HarperCollins on April 23rd. "Down through the Way she fell, feeling the wind and the pressing darkness, the dizzy thump when she landed on the bank. She was through. The air felt softer here, the shadows deeper—and the pull of her connection to the land settled into her bones." After defeating the wicked Mor and freeing her kin from deadly oaths made to this false ruler, Fer is now the rightful Lady of the land. 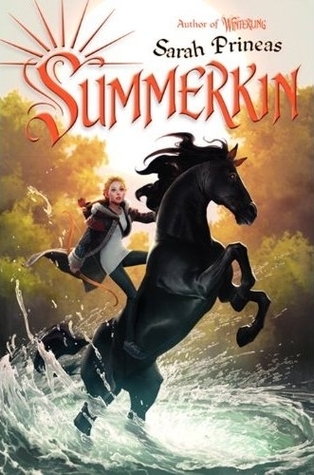 Yet her people don't know what to make of their new Lady's strange ways, and neither do the High Ones, the rulers of the magical realm, for Fer is an outsider—half human. I haven't started The Hero's Guide books yet, but they always get great reviews! These both look like fun reads! I bought both The Hero's Guide and Winterling based on your recommendation. I should read them before the sequels come out! Great picks! They all looks fun to read. :) I can't wait to have them both.